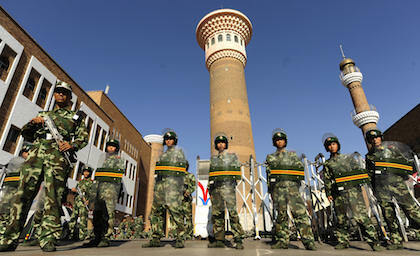 Chinese paramilitary police stand guard outside the Grand Bazaar in Urumqi Photo Credit: PETER PARKS/AFP/Getty Images. 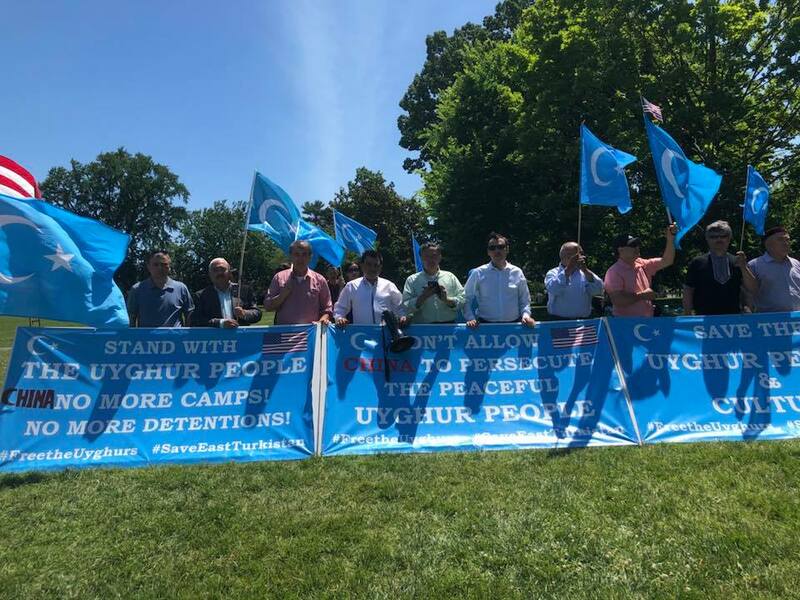 On March 27, US Secretary of State Mike Pompeo met with Uighur, Kazakh, and other minority group survivors and family members of China’s campaign of repression at the US Department of State in Washington. 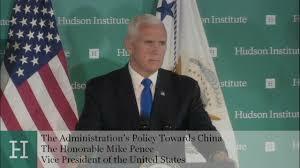 He called on China to “end these counterproductive policies and release all arbitrarily detained”. In a series of tweets on his official account, Pompeo described his meeting and assured them of Washington’s support. “The US stands with them and their family members. China must release all those arbitrarily detained and end its repression. On Tuesday, March 26, Chinese officials pressured Concordia University in Montreal to cancel an event featuring Dolkun Isa, President of the World Uyghur Congress, as a guest speaker. Kyle Matthews, executive director of the Montreal Institute for Genocide and Human Rights Studies (MIGS) at Concordia University, said he received an email from the Chinese consul general in Montreal on Monday, asking him for an urgent meeting to discuss a planned conference on the Uighur minority in China. The UK government ministers were urged this week to revisit the evidence of organ harvesting in China, to ban “transplant tourism” and to press for an international enquiry on the scandal. China is accused of “crimes against humanity, on an industrial scale.” Tabling a debate in the UK parliament, entitled “Forced Live Organ Extraction” in China, Jim Shannon, Democratic Unionist politician and MP for Strangford, urged the government to stop abdicating its responsibilities and begin to ask “tough questions of China” concerning its practice of extracting organs from prisoners of conscience. Beyond Xinjiang (occupied East Turkistan), the Chinese government is continuing its assault and crackdown on the “spread of halal” in areas inhabited by Hui Muslims. 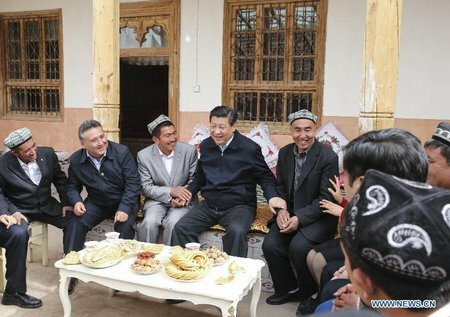 The communist party is exporting its experience of “governing” Xinjiang (occupied East Turkistan) to other parts of China, where Hui Muslims live. In particular, various campaigns to crack down on and eliminate the “generalization of halal” are being continuously promoted in areas with Muslim communities in every province. Arabic-language symbols and religious elements in public places, as well as “generalization of halal” practices are being strictly banned. Existing Arabic-language symbols and religious elements are being demolished. Members of house churches, the Bloody Holy Spirit and The Church of Almighty God are all being prevented from leaving China. The Chinese Communist Party (CCP) authorities continue to contrive and promote falsehoods, claiming that Western forces are seeking to use religion to infiltrate and subvert the CCP regime. 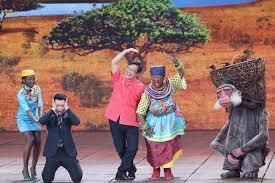 On this pretext, the CCP authorities are vigorously cracking down on all foreign-related religious activities. Even when religious believers want to go abroad, they are subjected to more severe restrictions than ever before. One severely ill believer has been denied the right to go abroad to seek medical attention, while some other believers have been investigated just for carrying a passport. Abdulkadir Yapcan, an eminent Uighur dissident who is currently being held in Turkey since three years, fights efforts to extradite him back to China. His case has become a focal point in international condemnation of China for its brutal crackdown on the Uighurs, whose Islamic faith and cultural heritage is viewed with suspicion by the government. He and his many supporters say that he is being targeted for his political activism. The Turkish government deems Abdulkadir Yapcan too dangerous to attend his own extradition proceedings in Istanbul. So instead he appeared in court by video link from the detention center. The government of the Central Asian nation has avoided criticizing China’s Xinjiang policies but has negotiated the release of some two dozen people with dual Kazakh and Chinese citizenships detained in China. Tahir Imin, a vocal Uighur activist based in Washington. D.C said this week that he received from multiple sources information that the Chinese authorities sentenced his relatives for various prison terms. His mother and younger brother were both sentenced to 10 years in prison. Also, a lot of his cousins and other relatives were sentenced to long term prisons and 6 people among his relatives who had been detained in concentration camps were dead. “It was apparently written in the court verdict that they are being sentenced because their relative Tahir Imin got involved in separatist activities in the US.” Imin said. Many Uighur activists pointed out that it is not unusual for the Chinese authorities to use their family ties back home to silence them.